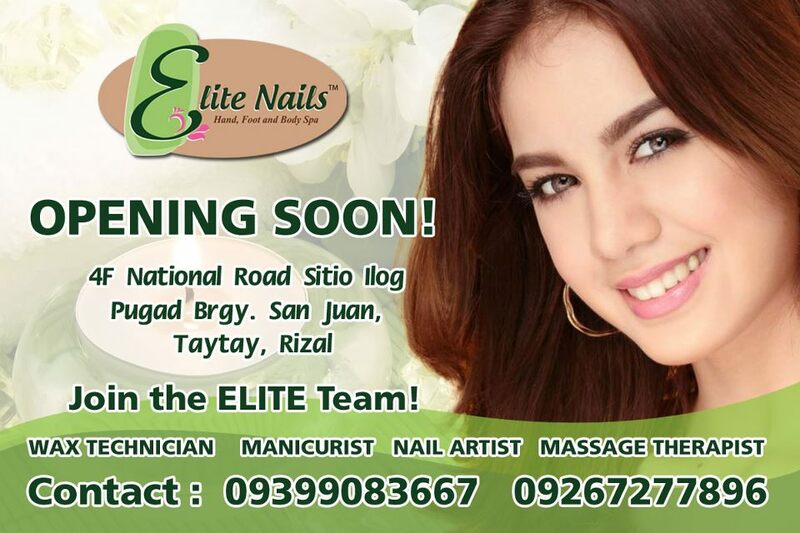 Get a piece of heaven from one of the finest towns in Rizal as Elite Nails – Taytay open its door to spa lovers and some clients residing in the east. 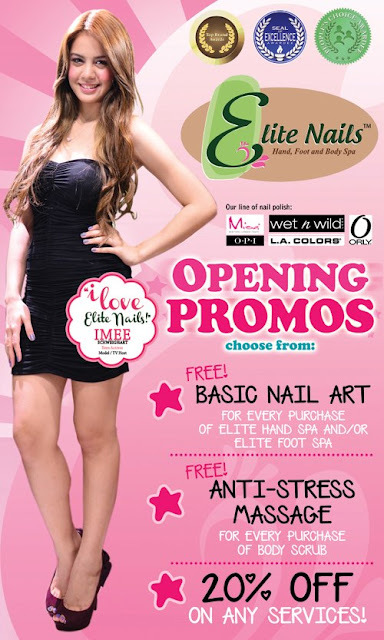 The finest experience of elite pampering awaits you in this branch. Tell your family and friends to visit us and get a special treat as on our first week. Meanwhile, here's a call for opportunity for young and goal-driven individuals to become part of our growing team. If you are ready to take on any challenge to provide passionate service, you are most welcome to become one of Elite Nails' roaster of amazing nail techs and therapists.